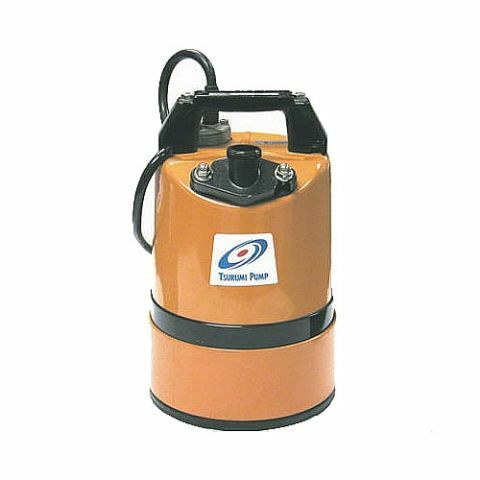 Capable of discharging 23 gallons per minute, this lightweight submersible pump is the ticket for pumping out flooded basements, and draining ponds or pools. There's a reason why this class of lightweight submersible utility pumps is called a "roofer's pump" -- property owners commonly permanently place this type of pump in areas they can't use a sump pump -- locations like rooftops or utility pits. Even so, for many DIY'ers it really ought to be called a basement pump, because more than not, this piece of rental equipment is put to work in a flooded basement or window well -- or at the bottom of a pond or pool. Beyond that, this mimld-mannered pump's looks also are deceiving -- it can discharge as many as 23 gallons of water per minute ,and lift it for discharge as high as 25 feet above the floor surface. Just plug it in to standard electrical service, connect your garden hose to the discharge, and the "little pump that could" will pump constantly until the water depth drops to less than 1/8 inch. The water in my basement is more than a foot deep -- can I place the submersible pump completely under water? Yes -- the only part of the pump that needs to be above the surface of the standing water is the plug connection. Can I use this pump to remove a combination of water and debris? Absolutely not. Submersible utility pumps lack filters to keep debris from jamming up the works. If you are pumping water from a muddy construction site, for example, you'll need to step up to what is known as a "trash pump," not "utility pump." Trash pump choices range from 80 gallons per minute discharge to 300 gpm.